One of the Guyanese cricketers, Shimron Odilon Hetmyer is professionally known as Shimron Hetmyer. He plays for the West Indies. He is a left-handed batsman and right-arm leg-break bowler. He was a member of the squad for 2014 ICC Under 19 Cricket World Cup of West Indies. He captained the West Indies squad in the 2016 U19 Cricket World Cup. His shirt number is no 2. He became the youngest batsman to score a century in the Caribbean Premier League (CPL) when he made a century for Guyana Amazon Warriors against the Jamaica Tallawahs. Shimron Hetmyer was born on 26 December 1996. His birthplace is Cumberland in Guyana. He is the son of Gladstone Hetmyer and Ingrid Hetmyer. He has an elder brother named Seon Hetmyer and two elder sisters named Shonette Hetmyer and Shonelle Hetmyer. His birth sign is Capricorn. He is Guyanese by nationality and his ethnicity is Afro-Guyanese. He follows Christianity. He started his International Cricket career in Pakistan. He is the left-handed batsman. He is popular in Youngsters for Clever Wicket Keeping on the Ground. He is one of the best players of the West Indies. 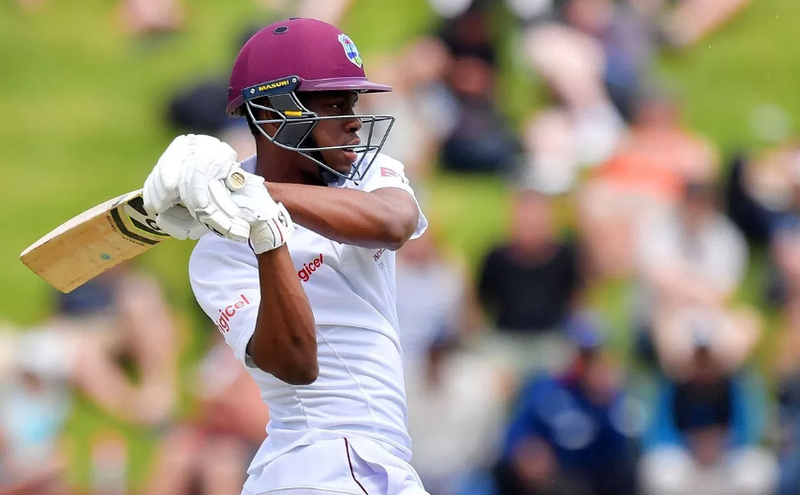 Shimron Hetmyer height is 5 feet 9 inch. He has a body weight of 75 kg. He has a balanced and healthy body. He has a black eye color and black hair color. In 2016, Shimron Hetmyer made his Twenty20 (T20) debut in the 2016 Caribbean Premier League for the Guyana Amazon Warriors. Guyana Warriors retained him for the 2017 edition of CPL. In August 2018, he made 100 runs for Guyana Amazon Warriors against Jamaica Tallawahs, making him the youngest batsman to score a century in the CPL. In October 2018, a red-ball contract was awarded to him by Cricket West Indies for the 2018-19 season. Shimron Hetmyer was in the squad of West Indies in the 2016 Under-19 Cricket World cup in Bangladesh. He captained the team and became 2016 Champion defeating India in the final. He made two 50s for the team in the tournament. He made his Test debut in a series against Pakistan in April 2017. He made his One Day International Debut (ODI) in the series against New Zealand in December 2017. He made his Twenty20 International (T20I) debut in the series against New Zealand in January 2018. He scored his first ODI century in a 60 runs win against the United Arab Emirates in March 2018, where he was named the man of the match. Shimron Hetmyer is unmarried. However, he is reportedly in a relationship with Nirvani Umrao. No detail information about his love life is available on any social news sites. He idolizes Brian Lara as his source of inspiration. As of 2018, his net worth is still under review. Since, his earnings, salary are not made available. It is difficult to evaluate his net worth. However, he is a young rising talent and potential future famous cricketer.